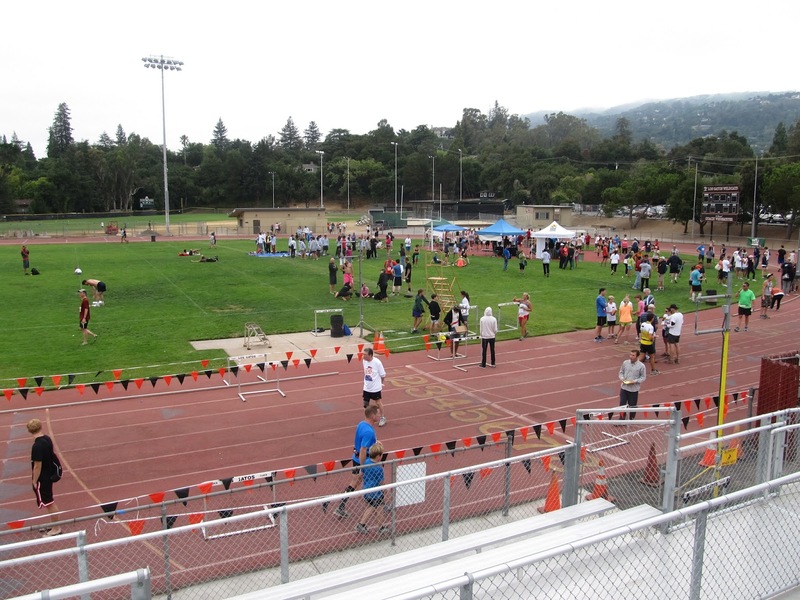 It had been five years since I last run the Dammit Run when I settled in at the starting line on the Los Gatos High School track yesterday. Every year there was some injury or comflict that kept me out of this race, and finally running “The Dammit” was like reconnecting with an old quirky friend. Who ever laid out the five mile Dammit Run course forty years ago was a diabolical genius. 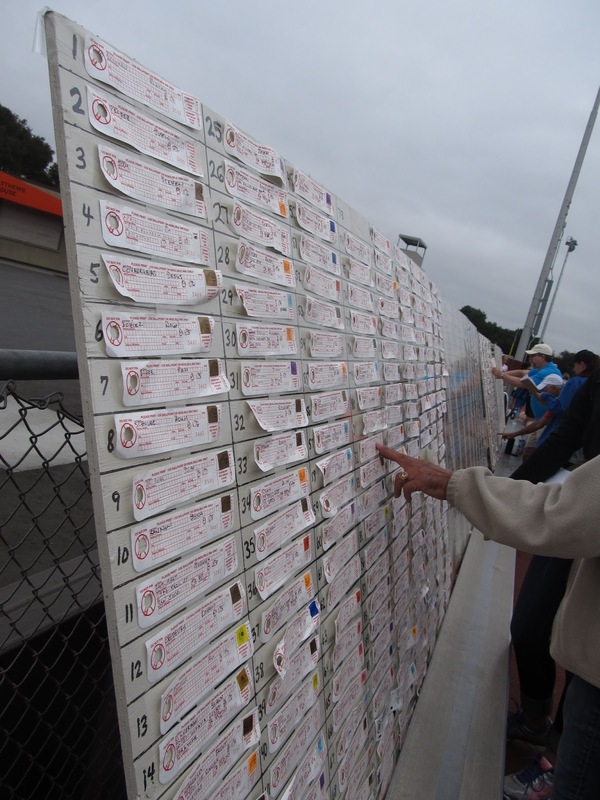 The race starts easy enough, with a lap around Los Gatos High School’s synthetic all-weather track before weaving through a parking lot and athletic fields onto the gravel Los Gatos Creek Trail. The next mile on the gently winding, slightly uphill trail is easy enough, but then there’s a short, steep hill at mile two. One you get over that hill, there’s a flat section, then steep down hill to the foot of the Lexington Reservoir Dam. You then take a paved trail diagonally across the Dam, climbing upwards from the bottom corner to the top, and then after a couple hundred yards on a street, take a rocky trail where immediately a steep ascent with uneven footing greets you. Get to the top of that and you’ve finally made it to mile 3. 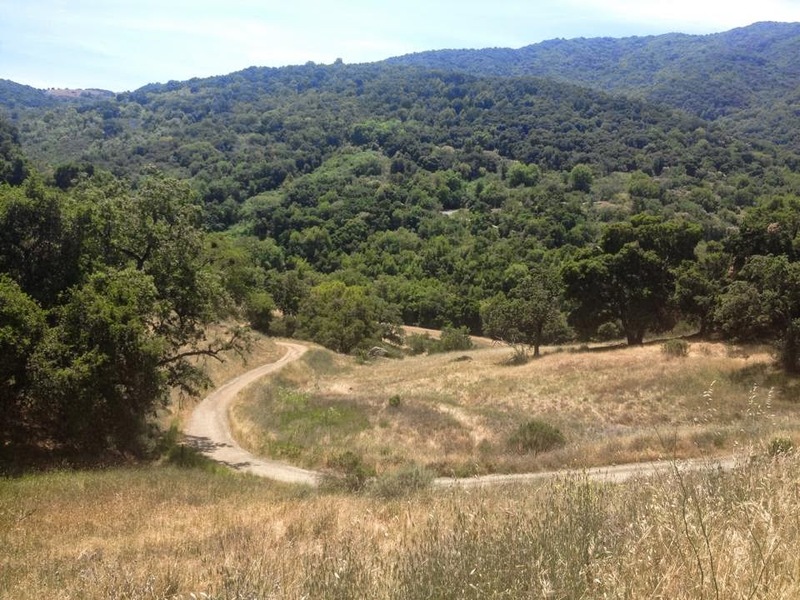 Then it’s a roller coaster ride to the finish, with descents down rugged hills before you hit the streets of Los Gatos and finish back on the high school track. There’s never a dull moment in races like these. Your senses have to be alert to dodge telephone poles and drainage grates along the course. Mental restraint is needed to hold back on the easy parts at the beginning to save up for the hills later in the race. And of course, focus and concentration is required to get you up the steep hills, and wrong step on the downhill last two miles is a face plant waiting to happen. Despite all this, everyone seems to have a blast at this race. Maybe that’s because most people go out and just have a good time running, rather than stressing out on every little detail like me. Not only did I not want to miss out on the Dammit Run this year, I used it to gauge my early fitness as I begin training for the Monterey Half-Marathon, November 17th. I’ll try not to bore you with a tedious play by play. My legs had the strength to get up the hills pretty well, the problem was I kept going into oxygen debt and really couldn’t get moving up them. I was pretty pleased with how I kept my speed during the rugged descents that I used to wibble-wobble down, and give credit to Eric Orten’s form and strengthening exercises I started doing last spring for that improvement. A time of 34:15 earned me 26th overall, higher up than I expected. That got me 2nd in my 45-49 age group, good enough to make me pretty optimistic heading towards Monterey, and made those post-race beers taste even better. 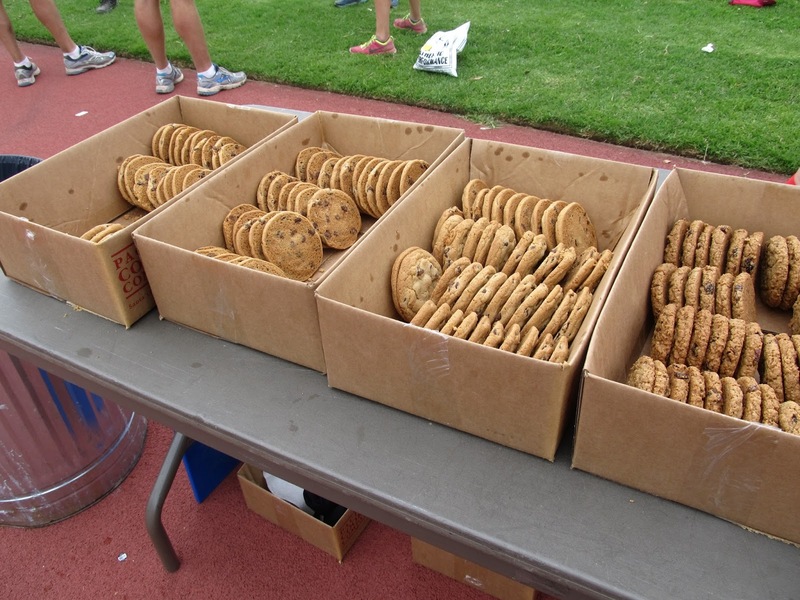 Plenty of cookies greeted the runners at the finish.